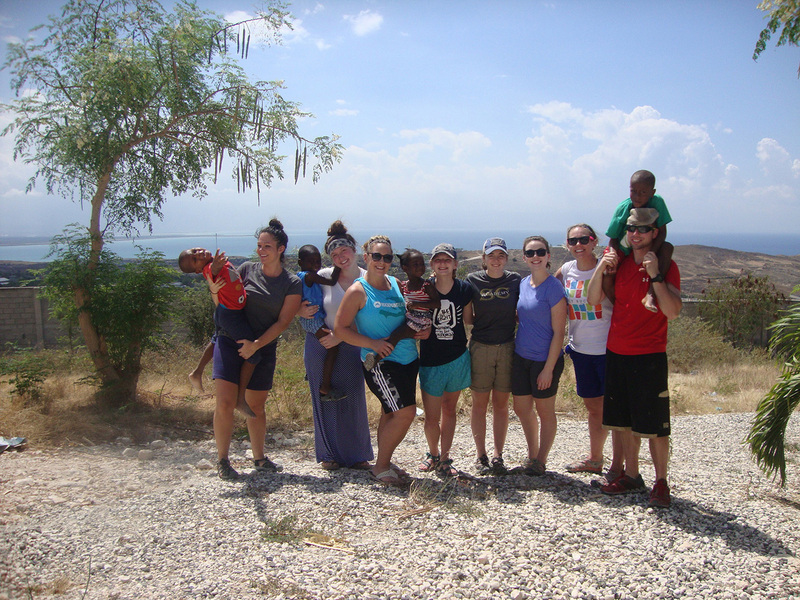 Another beautiful day of serving in Haiti! We started the day off on a rough note with three of our team members not feeling their best. Kathy and Raena stayed back at the guesthouse to care for our other members of our team as the remaining 8 of us headed off to Grace Village in Titanyen. Located in a city meaning “less than nothing”, Grace Village truly showed the locals that they were so much more than the name of their city. A long term missionary showed us around the grounds where we saw their gardens, family style homes, school, library, clinic, and kitchen. The family style homes provided the children with a family and gave them a sense of responsibility. The clinic has two doctors, who treat around 100 people during the days that they are open. It is an incredible blessing to a place with little access to health care. While touring the grounds we got to see the amazing view that Grace Village had since it is overlooking the city, mountains, and ocean. After the tour we visited our first elder who was currently living at Grace Village. The man had battled leprosy earlier in his life and had lost a leg, but that did not stop him from being filled with joy. As we cleaned his feet and put on lotion, we were helped by a young girl who had been living at Grace Village for only a week. She was wise beyond her years and truly had a heart full of compassion. She took up every opportunity to help serve our team while we were there. We then left for Fleri to take a tour and see their cooking facility. Fleri is a new restaurant who employs older orphans as a transition to integrate them into their community. Seeing how everything is made from the start made seeing the final product that we ate the previous night so much more impactful. Following Fleri, we had the opportunity to visit and serve the other three elders of the day. All of the elders welcomed us into their humble homes with welcome arms no matter the conditions they were in. They made it very clear that their way of life was much different from ours seeing that the conditions of their homes did not cross their mind when welcoming us; they were simply glad to see and feel the love that we were going to provide them. When washing the elders feet, we overcame our own personal boundaries and were able to love them in a more intimate way. Along with that, we were able to worship alongside our Healing Haiti guys who played guitar and keyboard. We had the opportunity to lift them and their families up to God by prayer as we left each of their homes. To end our day, we made a stop to the Mass Grave Memorial of the 2010 earthquake. The earthquake took the lives of an estimated 300,000 family members and loved ones largely due to the lack of knowledge on how to protect themselves during natural disasters. Some of our staff shared their personal experiences during the earthquake which made the event much more emotional instead of statistical like many textbooks today. Although we wished our entire team could have participated in today’s events, we knew it gave others an opportunity to step out of their comfort zones to serve in new ways. While many circumstances we endured were difficult to understand, it allowed us to see the world through God’s eyes and to change our own perspectives.